The Memorial House of "George Enescu"
The Cantacuzino Palace dominates majestic and glittering in the ambience of one of the oldest streets of Bucharest, Calea Victoriei. The fence of wrought iron (made in the style of Louis 14th), the majestic awning with the two lions on either side of the entrance, but also the richly decorated facade, increases the viewer understand that here the refinement and luxury "make a good home" together. 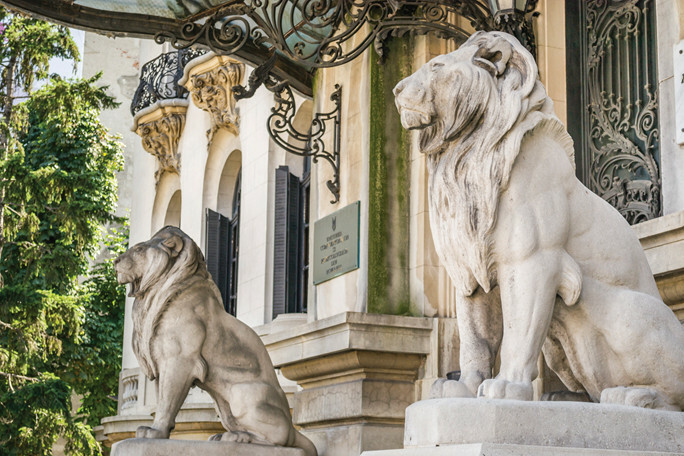 The palace was built between 1901-1903 by Grigore Cantacuzino (called also the "Nabab"), one of the richest aristocrats of the time (former mayor of Bucharest, prime minister, head of the Conservative Party). The architectural plans were made by the architect Ion Berindei. The architectural value is undeniable and indisputable in the residential architecture of the nobility from the late nineteenth century. 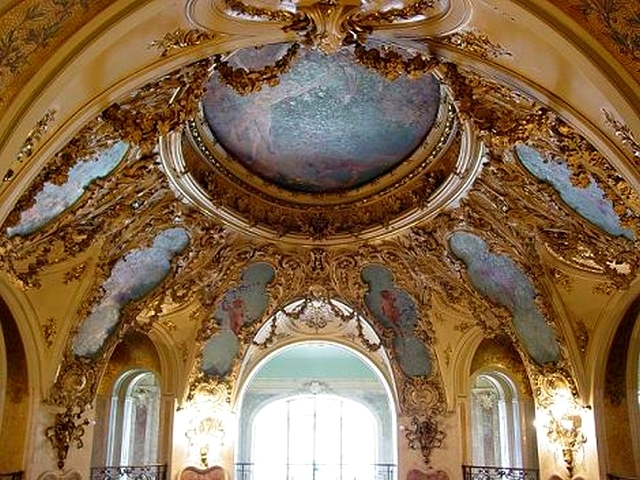 The baroque style blends with the Rococo style and with Art Nouveau elements. The interior decoration denotes not only opulence and luxury, but also a lot of refinement. Things and expensive materials, white and green marble, leather Cordoba, onyx, bronze statues, panels, painted ceramics, American oak flooring, walls cladded in stucco-marble, ceilings with profiles and ornaments sculptured in plaster and bronze, adorn the palace. The furniture pieces are part of the same trend. Important artists have put their signature on various mural works, such as: G.D.Mirea, Costin Petrescu, Nicolae Vermont , Arthur Verona. The sculptures and the carved ornamentations are the work of Emil W. Becker and Frederic Storck. The palace was famous for the sumptuous musical evenings that Mihail Cantacuzino and his wife Maruca organized here. The musical evenings and auditions to which George Enescu normally participated, were known and enjoyed by important names of Romanian and foreign aristocracy. Maruca would become "the great love" of George Enescu. 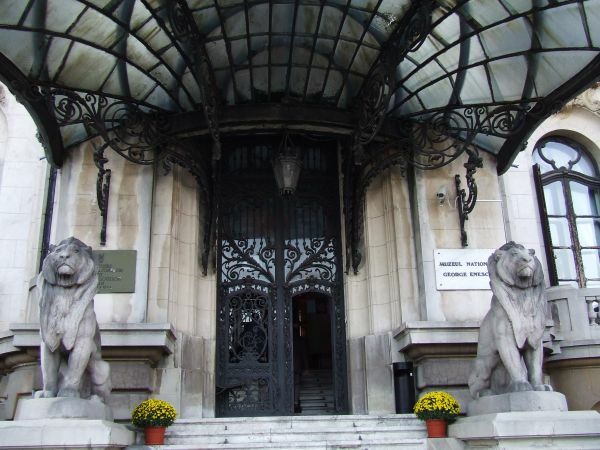 They have lived in the house behind the palace, which later became the Memorial House "George Enescu". The whole palace became in 1956, a year after the death of George Enescu, the Museum "George Enescu", thanks to the demands of his wife, the heiress of the building.